Founded separately in 1910, with illustrious composers Amy Beach and Arthur Foote among their early promoters, the Boston Music School Settlement and the South End Music School merged in 1968 to form the Community Music Center of Boston. CMCB is thus one of the city’s longest running, yet least known, musical institutions. It nonetheless has had a profound influence on the musical life of Boston, both as a standalone music school with a commitment to serving immigrant and minority communities, and, through partnership with the Boston Public Schools, as a significant component of in-school music education. 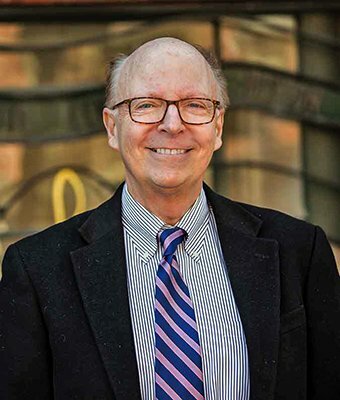 For the last 34 years, after two years as its Registrar, David Lapin has been the Executive Director of CMCB, having had the longest tenure of anyone in that position. 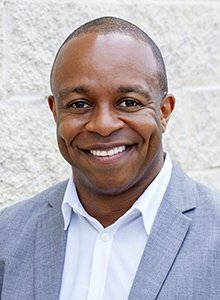 As of the end of August Lapin retired, and has been succeeded by Lecolion Washington, most recently the Executive Director of the PRIZM Ensemble and Director of In-Schools Programs for the Memphis Music Initiative. BMInt’s Vance Koven (who, by way of full disclosure, is a) a member of CMCB’s corporation, b) married to a member of CMCB’s faculty, and c) the father of three children who studied there) spoke to Lapin and Washington in late August about things past and things to come. BMInt: After 34 years driving the wagon, how do you feel about turning over the reins? Lapin: I can’t wait. We’ve only had a week together but it’s been delightful; Lecolion is a great reader of character. This is a great time to make the change. What were your proudest achievements as Executive Director? Anything you’d have done differently? Lapin: Although I think music education is in a better place today than it was in the 1980s—BPS has in the last few years added 80 new arts teachers—it’s nice to feel that we have contributed to that turnaround and that trend. The continuing problem, though, is that the overall culture is less attuned to arts education, which is an altitude that still requires considerable effort to reverse. Also, there’s a question of the degree to which our early childhood program promotes the kind of long-term engagement we’d like; while our tracking information is incomplete, circumstances such as shift in location for a large percentage of these families are to be expected. Still, we find pride in knowing their first experience with music begins at CMCB. After David has been at it for 34 years, how do you feel about taking over the reins? Washington: It’s both an honor and humbling to take over an organization that has been so well sustained. I’m walking into a strong [institutional] culture and a strong program. The transition has been very smooth. What do you think it was about Lecolion’s profile that most attracted the search committee to him? Lapin: Though I wasn’t on the search committee and had no formal role to play, I met with all three finalists, and Lecolion was, frankly, my first choice, and I’d say also that of the staff. Beyond his credentials, working in Memphis in areas of interest to the Music Center, for example as an outside organization involved in the public schools, Lecolion’s being a musician (which I am not) reverts to an older CMCB tradition [Ed. note: Washington is a bassoonist who has taught theory and bassoon at the University of Memphis]. He is also a staunch advocate of the social dimensions of music education and our desire to reflect the diversity of our community at every level of the organization. In fact, it just occurred to me that, with the recent appointment of Marie Tai as Associate Director, the top two positions in the organization will be filled by persons of color. What was it about CMCB that made you want to lead it? Washington: It felt like CMCB had written its job description specifically for me! It reflects my core values in community, education, excellence, inclusion and diversity. The Music Center was looking for someone who will continually challenge its vision, and be in constant conversation professionally and personally. The search committee asked me all the questions I was hoping they would ask, questions that are relevant on the national level of arts education, the questions which challenge even our successes. It made me really excited about coming here. Your background with the PRIZM Ensemble in Memphis suggests a primary focus on using music as a tool for community building. How do you see that in connection with CMCB’s long-standing connection with the Boston Public Schools? Washington: It fits very well and is also a tool for social justice. The CMCB’s Schools Outreach program acknowledges that many students don’t get musical opportunities. I see the School Outreach program as a bridge to after-school intensive instrumental training. Should the BPS be more self-reliant in music education or should CMCB continue to be, in effect, the public schools’ music program? Lapin: The BPS policy is to grow its internal and external resources, but neither can do the whole job. CMCB can do things that BPS can’t, like arrange festivals, celebrate holidays, and other things that require marshaling larger forces than individual teachers or schools can. We work best with schools that are already committed to the arts. Washington: That last point is crucial. There’s no magic pill, and we will work to increase both access and quality. In terms of the relative level of effort expended, should the goal of a community music school be to cultivate the next generation of performers (focusing on rigorous instrumental training), or the next generation of listeners (focus on general musical education? Washington: That’s the multimillion-dollar question. CMCB has such broad offerings that it has a unique avenue in which to increase the relevance of music. There are not separate pathways for performers and audiences, they all cross the same bridge regardless of their destination. Lapin: A colleague of mine has said that it is morally damaging to youngsters to concentrate on “narrow” training; but while we don’t assume that our students will go into music as a career, we give everyone the opportunity, and hopefully the desire, to include music in their lives however it fits best. Would you want to reshape the curriculum in any way? Washington: It’s hard to know right off the bat. I don’t foresee big changes but I want to focus on aligning CMCB’s goals. Decisions on curriculum will be tactical, since CMCB already has many offerings besides Western classical music. At the moment, CMCB seems to attract both a large number of city residents, and also a sizable sample of students from suburbs who are intimidated by the fees at NEC Prep. Do you see the demographics of the Music Center changing, and to what extent would you want to affect that change? Washington: I just want CMCB to continue its diversity, among students, faculty and administration, including its board, and vendors. Every youth-focused organization [in music] could fill up and the need still wouldn’t be satisfied, so we’re not in competition with these other organizations. Lapin: We’ve been in conversation with BYSO [Boston Youth Symphony Orchestras], Project STEP and NEC Prep around things we can do together. As it happens, our early childhood program is whiter than other programs, which is a function of neighborhood demographics, so CMCB needs to compensate to some degree in its other programs. We are developing a transitional program from early childhood to individual instrumental instruction. What principles would you follow in attracting CMCB faculty? Do performance opportunities like the Kleshinski Concert Series play a major role in that? Washington: Although we do offer these sorts of opportunities, I see them as ancillary. My real goal is to enhance faculty’s desire to grow as teachers. I also want staff to reflect the diversity of our students, and in some ways this can create a feedback loop with regard to what is being taught. Lapin: Part of the magic of the Music Center is that different offerings appeal to different groups of people, and not necessarily in the way you’d expect. When we’ve offered subjects like African drumming, they tend to attract white South Enders, while most of our African American and Asian students go for traditional classical music. Does CMCB need to move out of its current space at the Boston Center for the Arts, and should any replacement be located centrally or peripherally? Do satellite operations make any sense? Washington: Ask again in a year! If I see that we’re filling all our spaces, then that will be a happy problem. How do you see the current financial position of CMCB? Is there a softening in support? Lapin: We have a pretty good endowment and were able to get through the recession with only a minor degree of belt-tightening. We did just get a large one-off grant that is dedicated to youth performance opportunities, which we will be using to help fund our Lapin Competition and Young Composers Festival. What will be the focus of your marketing efforts? Washington: I’d like to be a “thought partner” with our marketing experts, but I need to learn more about how arts and youth development organizations pursue marketing. I value database and market-based decision making in this area. What will be the focus of your fundraising efforts? Washington: I’m grateful that there are families who have supported CMCB for generations—many of them have been brought in by David, and some go all the way back to 1910. Such relationships begin with listening, and I will be going on a listening tour rather soon. Have you found someplace to live? How does your family feel about relocating to Boston? Washington: Yes, in Jamaica] Plain. My family felt at home really quickly. Fortunately, I also have a brother who lives here. Will we be hearing from you on the bassoon? Washington: Oh yes. In January 11, as part of a bassoon quartet in CMCB’s John Kleshinski Concert Series. The full calendar will be printed soon. So what’s next for Doctor Lapin? Lapin: Well, I’ll be continuing my project of learning to play the harpsichord under Nickolai Sheikov. I’ll be traveling to the Pacific Northwest, Florida, Greece, and then I’ll take a look at my checkbook and decide what, if anything, to do after that. Lapin: In 1983 I found Boston a segmented city, except for the South End. My hope then was to extend that South End tradition of diversity and tolerance. It seemed that CMCB was in a bubble outside the tumult Boston was going through, but that wasn’t really true. I wanted [during my tenure] to honor the South End traditions by having CMCB play a mediating role to keep diverse elements of society together. Over time there have been fewer such mediating institutions, so CMCB has an even more important role to play. Luckily, I haven’t seen any effect yet of the polarization at the national level showing up in the CMCB community. Washington: We’re fortunate in the music space that people haven’t used it to foster conflict, only the opposite. David Lapin has been an incredible leader of an important organization. He deserves great praise for all he has done for this community. Lecolion Washington is a thoughtful, charismatic musician who is a fine choice to lead CMCB into the future. Boston Center for the Arts is very proud to have this organization on our campus! Thank you all, Vance, David, and Lecolion, for sharing such a thoughtful conversation. Your insights and observations help all to understand our history, instill gratitude for what has been accomplished, and hope for what lies ahead. It was a pleasure to read, many thanks.